Introduction: Immunization remains an important public health intervention. Morbidity and mortality caused by vaccine-preventable diseases are still high in developing countries. We aimed to assess the immunization coverage among children 12-59 months old attending our pediatric outpatient clinic and determined the impact of socioeconomic status and parental education level on the utilization of immunization services. Materials and Methods: This was a cross-sectional study in under-fives attending the pediatric outpatient clinic over a 1-month period. A questionnaire was used to collect information on demography, immunization, parental occupation and level of education, and reasons for not completing immunization. Results: Of the 223 children enrolled, 121 (54.3%) were male and 102 (45.7%) were female. One hundred three (46.2%) were fully immunized, while 120 (53.8%) were not. More males were fully immunized; however, this was not significant (χ2 = 0.606, P = 0.436). The majority (65%) of the patients belonged to the lower socioeconomic class; socioeconomic status was associated with immunization status (χ2 =10.460, P = 0.005). The level of education of both parents was also significantly associated with immunization status [father (χ2 = 14.134, P = 0.000), mother (χ2 = 21.507, P = 0.000)]. The main reasons for not completing immunization were ignorance of when to go back for the next dose, lack of approval by the father, the child being ill, and the mother traveling with the child. Conclusion: A large proportion of children was not fully immunized. Poor educational and socioeconomic statuses of the parents were some of the major reasons identified. Intensive community sensitization and awareness programs should include both religious and traditional leaders so as to reverse this situation. Background: Malaria has remained an important public health problem in Nigeria with children under 5 years of age bearing the greatest burden. Accurate and prompt diagnosis of malaria is an important element in the fight against the scourge. Due to the several limitations of microscopy, diagnosis of malaria has continued to be made based on clinical ground against several World Health Organization (WHO) recommendations. Thus, we aim to assess the performance of empirical clinical diagnosis among febrile children under 5 years of age in a busy pediatric outpatient clinic. Materials and Methods: The study was a cross-sectional study. Children aged <5 years with fever or 72 h history of fever were recruited. Children on antimalarial prophylaxis or on treatment for malaria were excluded. Relevant information was obtained from the caregiver and clinical note of the child using interviewer administered questionnaire. Two thick and two thin films were made, stained, and read for each recruited child. Data was analysed using SPSS version 16. Results: Of the 433 children studied, 98 (22.6%) were empirically diagnosed as having malaria and antimalarial drug prescribed. Twenty-three (23.5%) of these children were confirmed by microscopy to have malaria parasitemia, while 75 (76.5%) were negative for malaria parasitemia. Empirical clinical diagnosis show poor predictive indices with sensitivity of 19.2%, specificity of 76.0%, positive predictive value of 23.5% and negative predictive value of 71%. Conclusion and Recommendations: Empirical clinical diagnosis of malaria among the under-five children with symptoms suggestive of acute malaria is highly not reliable and hence the need to strengthen parasitological diagnosis. Scrub typhus is one of the tropical infections commonly seen in developing countries. The patients coming to health care centers with fever and thrombocytopenia should always be suspected for scrub typhus, along with malaria, dengue, and leptospiral infection. False-negative test or delay in the diagnosis can increase morbidity and mortality. We are reporting a series of five cases where the patients presented with fever to a local health care facility; on investigation, the patients were found to have thrombocytopenia. The dengue kit/card (qualitative test) test was found to be positive and the patients were treated accordingly; later, after 5 days, these patients noticed breathlessness and decreased urine output for which they were referred to a higher center and on further investigation, they were found to be negative for dengue serology (quantitative test) and positive for Weil-Felix test (WFT). All the five patients were successfully managed with invasive ventilator support and renal replacement therapy. This case report mainly emphasizes the suspicion of scrub typhus in patients with fever and thrombocytopenia, even if they are positive for other tropical infections, and timely doxycycline treatment, along with systemic supportive measure, are necessary for a successful outcome. Dengue viral infection is one of the differential diagnoses in patients having fever with thrombocytopenia. Early diagnosis and timely supportive treatment form the basis for the successful management of these patients. Dengue infection associated with cyanotic congenital cardiac disease makes management more difficult and is associated with a fatal outcome. We report a case in which the patient presented with fever and thrombocytopenia diagnosed to be a case of dengue infection (NS-1 antigen-positive) and associated cyanotic congenital heart disease (double inlet left ventricle/univentricular heart). The patient was successfully managed with fluids and platelet transfusion. 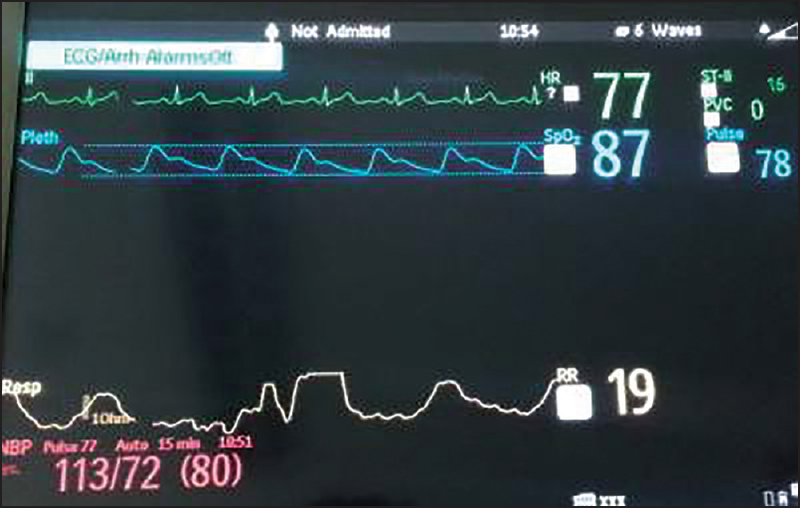 This case report mainly emphasizes the difficulties faced in hemodynamic monitoring and supportive management during the acute course of the disease.